Iran says it has activated its own “real Iron Dome” missile defense system, which makes the airspace above the Islamic Republic the safest in the Middle East. “Today Iran's Air Defense System has provided our country with an Iron Dome in its real sense and Iran's airspace is the safest in the region," said Mohammad Hassan Aboutorabifard, vice speaker of Iran’s parliament, as quoted by local Fars news agency. 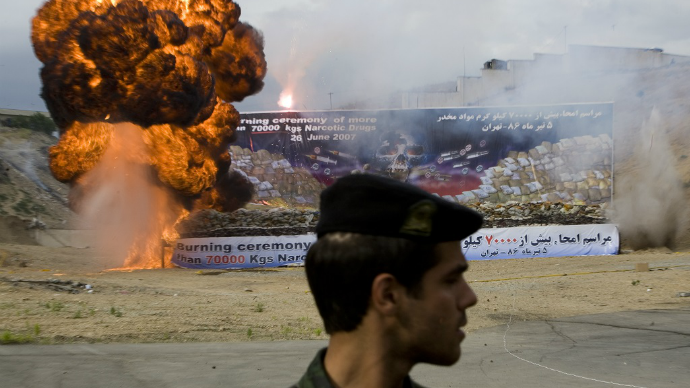 Aboutorabifard dubbed the system the “real Iron Dome,” in reference to the joint US-Israeli Iron Dome missile shield which protects the Jewish state from missiles fired by Hamas fighters. He also spoke of an unnamed US military official who, according to Aboutorabifard, acknowledged Tehran's high defensive abilities, saying that Iran has harnessed the US military's capabilities in the Middle East region. Iran first announced plans to create a mid-range and long-range national missile defense system back in August. 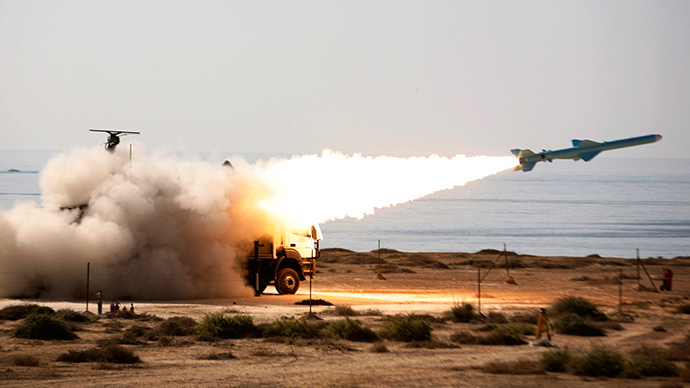 The lieutenant commander of Iran’s Khatam ol-Anbia air defense base, Brigadier General Alireza Sabahifard, said that the country’s anti-missile system is fully prepared to deal with any foreign threat. "Iran's Air Defense and missile capabilities are progressing in proportion with the possible threats," Sabahifard said. However, Tehran has so far provided no footage that would prove the effectiveness of the air defense system. The revelation of the “real Iron Dome” was preceded by claims of several other ambitious achievements by Iranian military scientists. According to its creator, the UAV “can escape thermal and air-to-air missiles and no missile can approach the drone any closer than 250 meters." The next day, an Iranian military commander reported the successful testing of three suicide drones, which “were a type of cruise missiles and have been fully manufactured by Iranian experts." And, on Wednesday, Iranian Air Force spokesman General Hossein Chitforoush announced that the Islamic Republic has begun a large-scale mass production of the homemade Saeqeh fighter. Before the new year, another Iranian scientist said he invented a state-of-the-art radar tracker which is capable of detecting drugs, explosives, and even people.